Mr. Remolina will be heading FlexTrade’s sales and business development, emphasizing its sell-side OMS solutions. FlexTrade Systems, a provider of multi-asset execution and order management systems, has appointed Shane Remolina as its newest Director of Sell-Side OMS Technologies for North America, per a company statement. In his new role Mr. Remolina will be based out of the group’s headquarters in New York. In this capacity he will be heading FlexTrade’s sales and business development, with an emphasis on its sell-side OMS solutions – he steps into the new role with immediate effect. 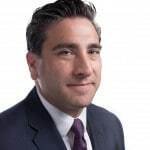 Mr. Remolina joins FlexTrade after a lengthy career at Bloomberg Trading Solutions, which saw him hold multiple senior level roles over the past nine years. This included stints as its Head of Sales for North America, Product Development, and Enterprise sales. Additional roles also include positions at Citi Group Capital Markets, Lava Trading and SunGard, dating back to 2003. “FlexTrade is ideally positioned to provide that differentiation. This is accomplished in two ways. First and foremost are our state-of-the-art technology solutions, which are available in both customizable and turnkey versions. Second is our client-centric installation approach, which is akin to a partnership whereby FlexTrade’s service and support teams work hand in hand with clients to install a system that will not only address all their needs, but also provide a tangible ROI,” he added. Last month, FlexTrade made headlines after it integrated Markit’s Transaction Cost Analysis (TCA) data has into its execution management system (EMS) platform FlexTRADER EMS. As part of the integration into FlexTrade’s multi-asset portfolio and single stock trading system, Markit’s TCA data aimed at FlexTRADER EMS platform users with the goal of procuring relevant pre-trade data and TCA-related tools.